The 21st Conference of Parties to the United Nations Framework Convention on Climate Change, or CoP-21, was supposed to be held in Paris, France from November 30 to December 11, 2015. But it began informally on November 29, a day before. And ended, formally, a day after it was to end. That had to do with CoP-21’s purpose. No less a goal than to bring a four-year negotiation process to a productive end: a consensus among 196 nations (195 nations + the European Union), set out in writing, on how best to tackle climate change. The nub of the Paris conference was the work of ADP, or the Ad Hoc Working Group on the Durban Platform for Enhanced Action. Their work began at CoP-17, held in Durban, South Africa, in 2011. There, the main result was the Durban Platform for Enhanced Action, which tasked nations to come up with “another legal instrument or an agreed outcome with legal force under the Convention applicable to all Parties”, which would come into force after 2020. So ADP was constituted, to add substance to this bare wording. ADP’s deadline was 2015. ADP held several rounds of talks during 2013-15. 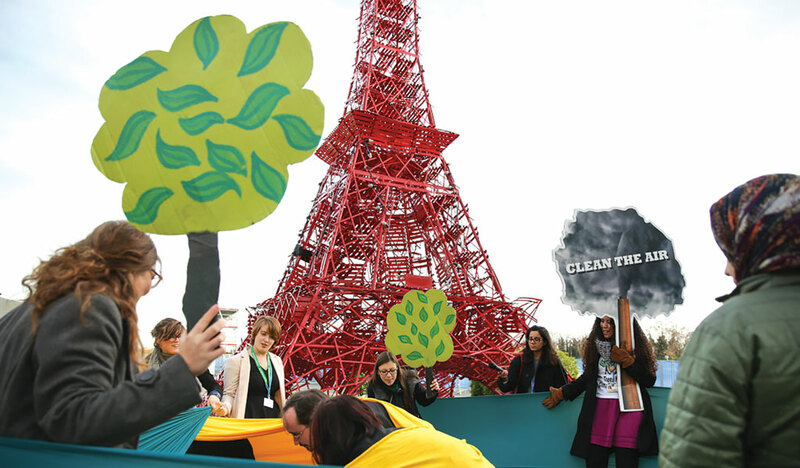 On the eve of CoP-21, the picture was still murky. Developed countries were determined not to shift their redlines. Developing country blocs were ready not to be pushed over. So tenuous was the shape of the draft agreement that had to be finalised during CoP-21 that ADP was re-convened a day before CoP-21 began. Peru handed over the CoP leadership to Laurent Fabius, France’s foreign minister. He got to work immediately, establishing four spin-off groups to commence negotiations. November 29, 2015. Not a happy day. 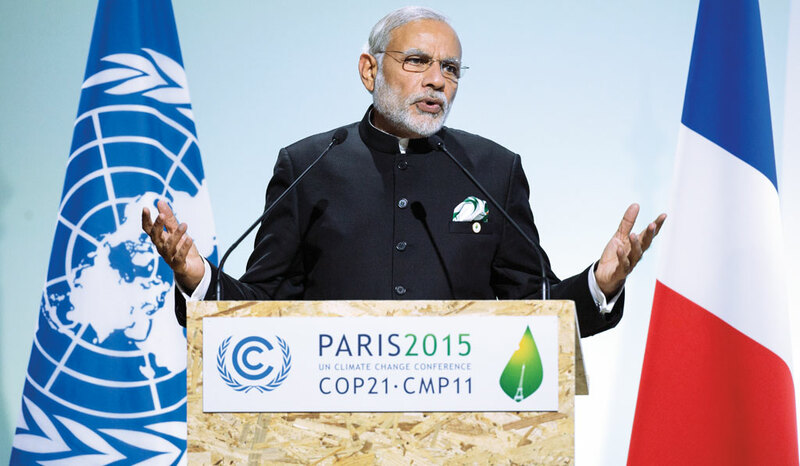 CoP-21 formally began on November 30, 2015. Over 150 heads of state piled in into the conference venue, intent on creating a positive spin on a 25-year-old negotiation process going nowhere. The leaders were there, the French president said, “to give this conference a drive and ambition commensurate with the challenge”. Inspiration the negotiators didn’t need, or heed. For, across all four groups, sparring over the text had already begun. Canada, Denmark, Finland, France, Germany, Ireland, Italy, Sweden, Switzerland, the UK and the US announced a pledge to put in US $248 million into the Least Developed Countries Fund, a climate fund hosted by the Global Environment Facility. The intent was clear: promise money and break G-77/China unity. The first wrecking-ball hurled at the Paris Agreement was by Obama himself, at a meeting between him and leaders of some small island states on December 1. Talking about the agreement’s legal form, he said the specific targets each country had set to reduce greenhouse gas emissions may not have the force of treaties, but “periodic review” of those commitments would be legally binding. Indeed, the only element developed countries cared about in the agreement was the transparency/review mechanism. As the first week unfolded, it became clear that developed countries wanted to really shift the review mechanism goalposts. At Cancun, they had agreed on an MRV (measurement, reporting, verification) mechanism that worked differently for developed and developing countries, and was more stringent for the former. Now, they wanted a single arrangement equally applicable to all. On finance, too, a stand-off grew. Developed countries wanted text inserted (“countries in a position to do so/willing to do so”) that would make all countries responsible for funding. The EU came out in support of this stance. The US, supported by the Umbrella Group (a bloc of the richest nations), also wanted the existing finance architecture, based on “differentiation”, to crumble: developed countries would no longer be the sole donors. 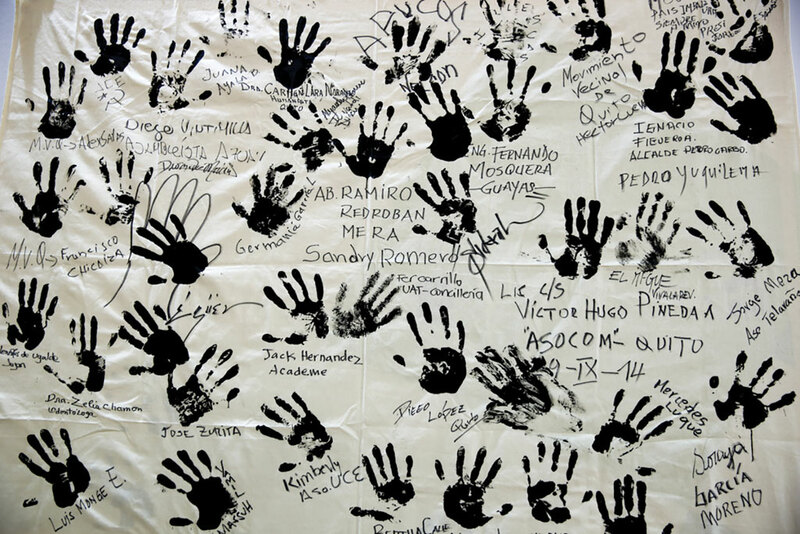 On December 5, ADP’s work came to an end. At a plenary meeting, it submitted a 48-page “draft agreement”. This was to be the basis of second-week’s negotiations, during the “high-level segment” where political decisions would be taken at a ministerial level. Said a sombre Fabius: “Nothing is agreed until everything is agreed.” He also outlined the process. In the second week, there would be a daily stocktake, overseen by a committee called the Comité de Paris, presided over by Fabius, to facilitate a compromise. At the end of the first week, faultlines spread across all core issues, especially transparency, finance and the long-term goal. On the technology transfer mechanism, there was no movement. The loss and damage mechanism, too, was at a standstill; though developed countries did not mind a mention on loss and damage in the agreement, they made it clear there would be no talk or mention of “liability” or “compensation”, a US-promoted redline. This, too was, clear. It was going to be an EIG+Umbrella Group v the G-77/China affair (EIG: Environmental Integrity Group, comprising Mexico, Liechtenstein, Monaco, the Republic of Korea and Switzerland). And what of the EU, usually a progressive bridge-builder at climate CoPs? What Miguel Arias Cañete, EU commissioner for energy and climate action, said in a press briefing on December 5 made it clear that EU’s stance on the core issues was as, if not more, hardline than the Umbrella Group, even the US. This was the real surprise of the week. Week 2 was all about repairing persisting faultlines. It was all about closed-door meetings between ministers, and wrangling about text outside the observers’ domain. On December 7, it was leaked that the US was so resistant to any mention of compensation or liability with respect to the loss and damage formulation that they wanted to bar it from ever being raised in the future. This showed that developed countries were determined to undermine any remnant commitment to justice in this process. On December 8, in a startling breakaway move, Brazil joined the EU in proposing new text on international carbon trade. The proposal said nations that were willing could use “cooperative approaches” to cut emissions using “internationally transferred mitigation outcomes”. Environmental groups were surprised Brazil resorted to a mitigation-centric approach to bridge differences. Had Brazil—best known for insisting on a game-changing protocol based on the historical responsibility of developed nations at the Kyoto CoP in 1997—gone completely upside down? Explained Brazil’s lead negotiator: “It was necessary for someone to find the middle ground... There are bits and pieces that people will question but I think it’s the only sustainable deal.” However, as one European negotiator noted, this proposal, if agreed, would effectively replace the clean development mechanism (CDM), one of three market-based mechanisms enacted under the Kyoto Protocol. On December 9, US Secretary of State John Kerry appeared before the world and delivered a speech that could only be called an act of climate vaudeville: “What’s really disturbing is that this [extreme weather becoming the “new normal”] is exactly what scientists told us would happen. The science has been warning us for decades, screaming at us...” His use of “us” was really strange. Who was “us”? The rest of the world, or the US? At another level, though, Kerry unwittingly revealed how muddy the negotiations had become by December 9. The G-77/China bloc was now asunder. AOSIS (Alliance of Small Island States) and SIDS (Small Island Developing State) sub-blocs were now aligned with the Umbrella Group. The BASIC (Brazil, South Africa, India, China) sub-bloc was now isolated. And when, on December 10, Brazil announced that it had become part of the High Ambition Coalition, the strategy became clearer: break BASIC up, and put diplomatic pressure to separate China and India. On December 9 negotiators discussed a revised draft in an evening session of the Comité de Paris. It was a terse, 20-minute meeting. Fabius was harried. He presented a draft text of 29 pages. It incorporated recommendations of ministerial facilitators and ADP co-facilitators’ suggestions. He said compromise or significant progress had been made on capacity building, adaptation, transparency, and technology development and transfer. On the unresolved issues of differentiation, financing and the level of ambition of the agreement, Fabius encouraged parties to scale up consultations. The evening of December 9 stretched into the night. It was pow-wow time, as countries responded to the “near-final” version of the text, trying to thrash out all outstanding issues. A CSE analysis of this text found it was riddled with major compromises. 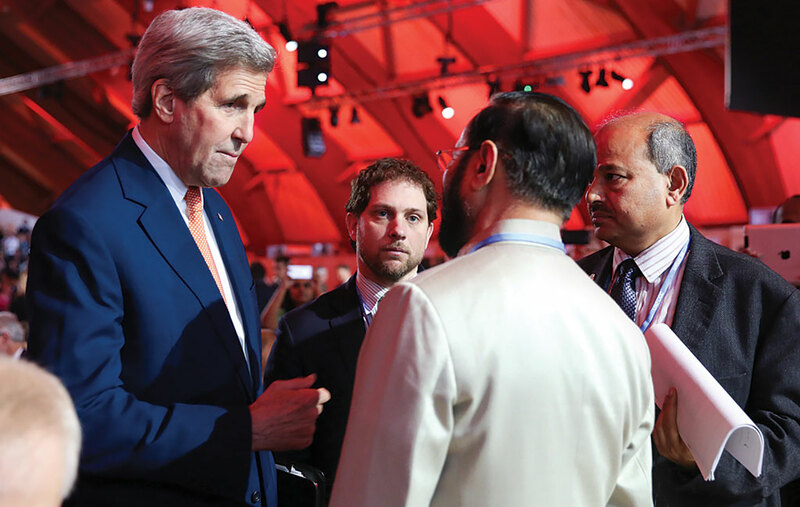 It was a sign that the Paris Agreement was moving only towards a weak deal. “There is still work to do,” he said. Later that day, China’s state news agency Xinhua reported President Xi Jinping had talked on the phone with Obama about the matter. “China and the US must strengthen coordination with all parties and work together to ensure the Paris climate summit reaches an accord as scheduled,” Xi told Obama. Such a story meant China was ready to forge an agreement. The environment minister of India, Prakash Javadekar, was disappointed that Prime Minister Narendra Modi’s priorities of climate justice and less-energy intensive lifestyles were left out of the penultimate draft. “Polluters and victims cannot be put at the same level,” Javadekar said, underscoring India’s hard line on differentiation of responsibilities. In the evening of December 11, the Associated Press reported that China was standing firm “on its demand that rich countries should bear a greater burden than developing ones in reducing emissions and helping countries cope with global warming”. Liu Zhenmin, deputy chief of the Chinese delegation, told reporters that this was the “core of our concern for the Paris Agreement”. The US and the EU, though, stood firm in wanting to move away from “differentiation” across all core issues. 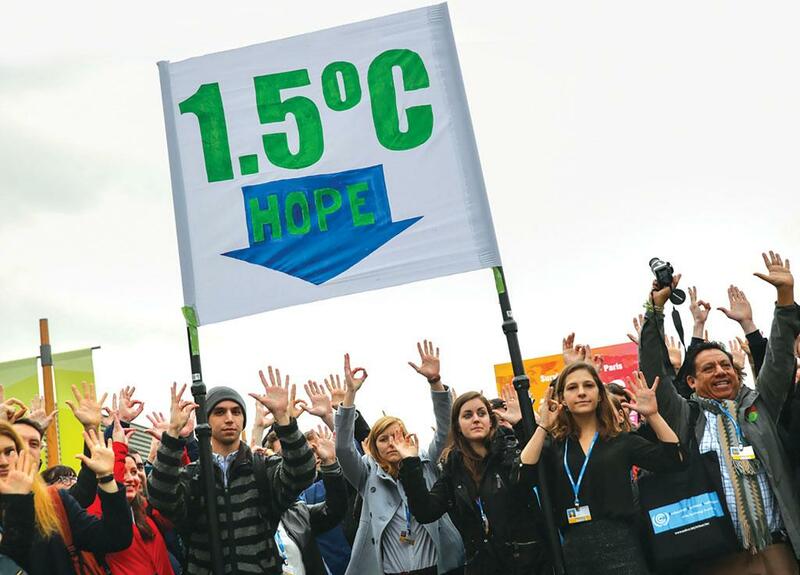 As December 11 ended, three hurdles remained: climate finance, differentiation and whether the overall goal in limiting global temperature rise should be 2°C or the safer 1.5°C. Fabius held a series of consultations with individual countries during the final day and night, and individual delegations and groups of delegations met informally with one another. At this stage, virtually no one knew who was meeting with whom, and where the text stood. The result of this ad hoc process was a text containing new provisions of unknown provenance, which most delegations saw for the first time when it was presented to them in final form on the afternoon of December 12, hours before the end of the conference. Strangely, no bloc objected to what was obviously a breach of procedure. One reason could be that, as soon as negotiators got the text, a huge controversy erupted over Article 4.4, or, more specifically, an auxiliary verb. Would the provision that developed countries undertake absolute, economy-wide emission targets be a “shall” or a “should”? While last-minute warfare over words was nothing new to the CoP process, this one threatened to derail the agreement. 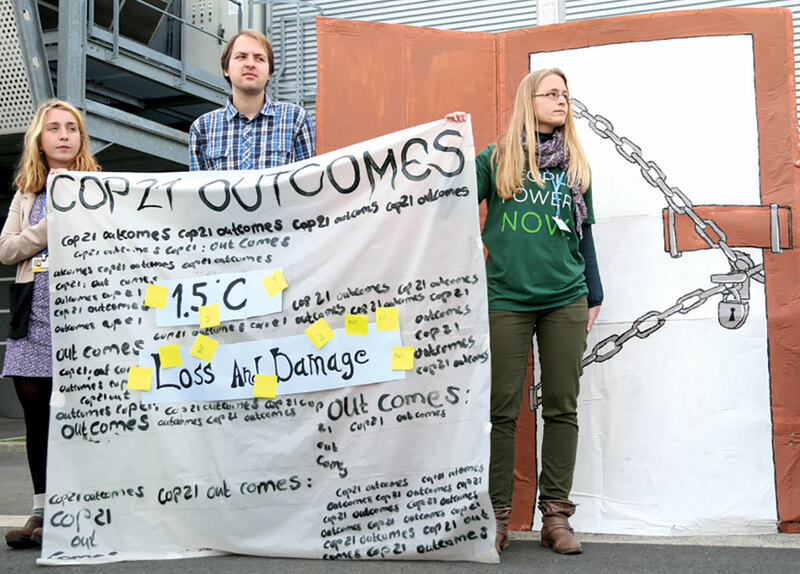 For on the choice of word hinged the ability of the US to join CoP-21’s outcome. If the provision said “shall”, representing a legal commitment, then Senate or Congressional approval would be required for US participation; that, the current administration would never agree to. If the provision was a “should”, then the Paris Agreement could be accepted by the US president as a presidential-executive agreement. The issue first erupted publicly the final afternoon of the meeting and delayed the closing plenary. Indeed, the final plenary had to wait for more than an hour while CoP president Fabius and his team, the US and Brazil tried to work it out. But all was well that ended well. A technical correction was read from the podium, and at 7:46 pm Paris time Laurent Fabius lifted a leaf-shaped gavel and quickly gaveled through the agreement. It was done. What an evening in Paris.